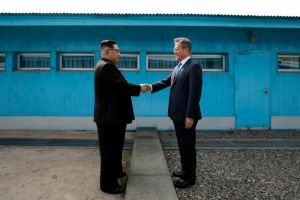 Back in April 2018 cold noodles were all the rage as a result of the exchange of the noodles at the first Korean Summit in over a decade. September of that same year saw a second summit that resulted in more food exchanges. 200 tons of tangerines were gifted from South Korea in response to the North’s gift of 2 tons of pine mushrooms, a welcome gift for the 4,000 citizens who have family living in North Korea. The Pine Mushroom, a relatively low profile mushroom prior to the summit, now thrust into the spotlight, is finding its moment of glory and its fancy new price tag worldwide. So, what is a pine mushroom? Matsutake, also known as pine mushrooms, is the lay term given to the prized Mycorrhizal mushroom that grows in Asia, Europe, and North America. Valued for its culinary uses, this spicily-aromatic mushroom is found most often in Japanese, Chinese, and Korean cuisines. Generally found on forest floors among the miasma of forest debris, matsutake carry on a coadjuvant with a variety of trees. In Japan and Korea they are most often found amongst Pinus densiflora, explaining the pine mushroom name. What’s the significance of the pine mushroom gift? To start with, pine mushrooms are considered to be one of the most important products of North Korea; so much so that they even immortalized them with a stamp. More significantly, however, is their role as a supplemental currency. Defectors have confirmed that North Korean authorities have been known to provide much-needed supplies and necessities to the people of North Korea in exchange for their wild harvested matsutake. While the exchange rate for the foraged fungus has changed from year to year, the value of the mushroom has become obvious. So obvious in fact, that one of the southern recipients of the gifted matsutake could not resist attempting to sell them online. This was frowned upon by the public as whole, but speaks volumes to their value. Their true value lies outside North Korea, making pine mushroom sales a booming business for the North Korean economy. What is worth roughly 60,000 won ($7.50) per kg in North Korea is worth 350-400 yuan ($51-58) in China, producing a profit $43-51 per kg for North Korea. Being that foreign currency is at a shortage in North Korea, a gift of approximately $85,275.39 or 95,563,013.05 South Korean won (5,542,900.35 North Korean won) could be seen as a very generous gift as well as a real commitment to inter-Korean relations. Why are Pine Mushrooms so prized? Matsutake are notoriously hard to grow. In North America they are most often found growing at the base of Lodgepole or Jack pine trees, growing in amongst the fallen needles. Creating the appropriate growing environment for these mushrooms to thrive is difficult at best, impossible at worst. Much like the notoriously difficult morel mushroom, the pine mushroom requires very specific conditions in order to reach the fruiting stage. They can if you can maintain the proper conditions. 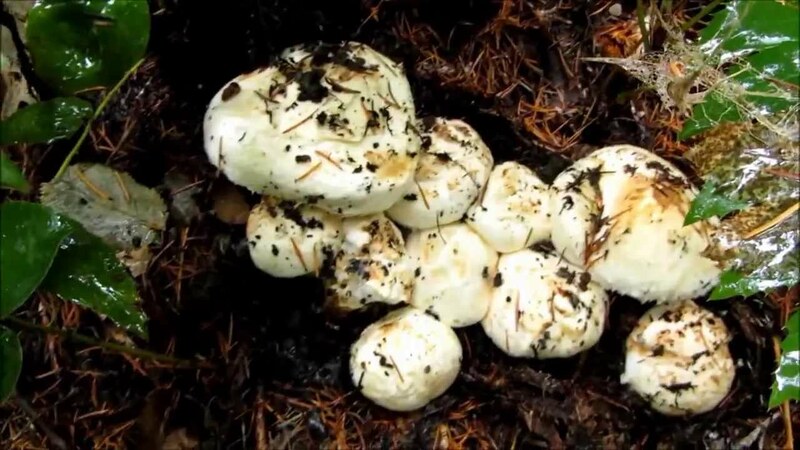 Unlike many other strains of fungus, matsutake requires the compost of years of pine refuse in order to thrive. Creating this in-house would be time-consuming to the extreme and ultimately not worth it. With that being said, if you have the proper conditions in your area or on your property you can farm them. Once you have acquired the spores from a reliable source, the spawn, grown using a brown rice/vermiculite subrstrate base, can be planted at the base of your tree stand. 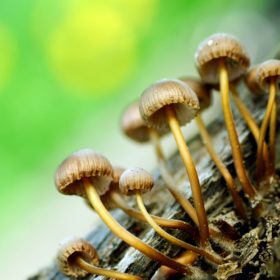 As with any mushroom growing venture, be sure you do your research. This is just one suggested method. We cannot stress enough the importance of research before growing. 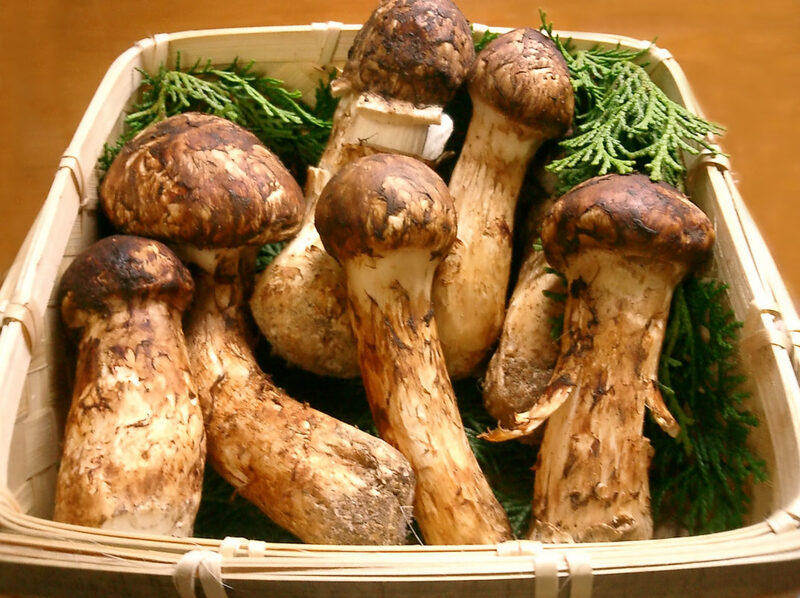 While matsutake may not be an option for your farm, countless other culinary mushrooms are available to growers of all levels of experience. If you think you are ready to get started growing Pine mushrooms, oysters, buttons, or any other these culinary delights, hop on over to the shop to gather your supplies and get started today. Still have questions? One of our knowledgeable representatives would happy to help. Contact us here. 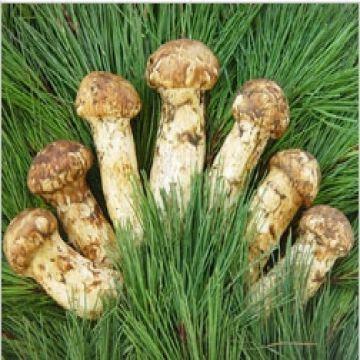 This entry was posted in Blog, Fungi, Mushroom Growing and tagged how to grow mushrooms, inter-Korean summit, matsutake, morel mushrooms, North Korea, pine mushrooms, South Korea.